Yeah, I’m sure you pick the cloths up off your floor every once and a while….but how often do you really clean your bedroom? If you have a house cleaning service you don’t have to worry about it. However, if you don’t, we have an awesome process for you to clean really deep clean your bedroom every month! Good news! The bedroom is pretty simple in terms of equipment. 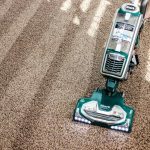 You will only need a duster, a few microfiber towels, some all purpose cleaner and of course a vacuum. (A mop might be required if the bedroom have floors other than carpet.) 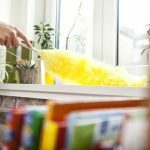 You can really use any off the shelf products, but if you want some suggestions you can take a look at the blog we wrote: 5 essential cleaning products to keep your home looking great. Get out the duster! Obviously you always want to dust top to bottom so you don’t knock dust back down onto the surface you just cleaned. If you are just doing a quick clean you can dust around everything on counter spaces, night stands, dressers, etc. However, if you are doing a “monthly cleaning” it’s probably a good idea to move everything and dust under it as well. That is it! A nice a simple way to clean your room from start to finish. As I noted earlier, there will be another step if you have non carpeted floors in your bedroom. I think you are ready to clean your bedroom! 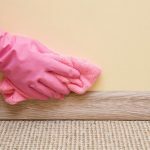 Check out our next blog if you want to lear our step by step process on cleaning the bathroom.